One of the great things about living in the Western Upstate is having plenty of space and different environments to work in. If you’re looking to change things around in your home, there are lots of options. 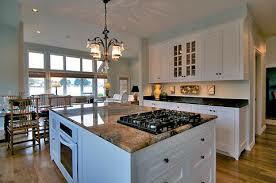 Of course, one of the main spaces that homeowners share with their guests is the kitchen. After all, it’s where the action is. Meals are made here, and it is also where people gather and go to for food and drink during a party. So, what else can you add to your kitchen to liven things up? Here are just some suggestions. Firstly, we all know that people love to throw parties within their home. Whether it’s a big party to watch the game or a fireworks show, you’ll want to keep them entertained. Adding your own bar or kitchen island will add space for all your food and drink during the occasion. It will allow easier access for you and your guests to get the refreshments they want during the festivities. Next is something that people might find out-of-the-ordinary. However, let’s be honest. Many residents have come from out-of-state – especially Northern states such as New York, and New Yorkers love their pizza. Why not experiment with the makings of your own pizza kitchen? Even if your place isn’t big enough for a full pizza kitchen, you can still get the tools to make your own homemade authentic pizza. Northerners will love it. It’ll make them feel like they never left the old neighborhood. 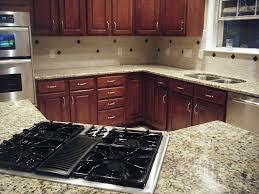 You can also modernize your kitchen space with new countertops. A new granite surface with stones can make a kitchen look brand new and more decorative. It’ll give your kitchen just enough of a new look to completely change its style. The Powell Group invites you to explore different ways to change things up in your kitchen. There are plenty of local experts that can give you the advice you need. While there, you may also look at the available homes in our area for any friends or family who are looking. Our team members are here to answer all of your housing questions and concerns.